If any text is ever too small to read comfortably press the CTRL and the + key at the same time to increase the size. The easiest way is to ask friends to send them to you. You can plant the gifts whenever you want- just make sure you do it before they expire! Some plants, like Zodiacs, can be planted for about 1-2 months, others might expire faster or stay available for a longer time. It's best to plant them as soon as you can - if you miss them, you will have to wait another year before they are available again! Click on the Gifts icon in the top right hand corner of your garden. Click to accept ANY gift. Copy and paste the link in your browser bar to your back wall. It will look similar to this. Do NOT use the above link as each garden ID is unique to you. Now that you have a gift link you can change the gift number (highlighted in the above link example) to the gift you want. 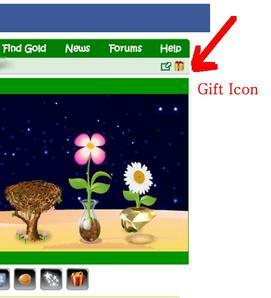 Gift numbers can be found in the list further down this page. 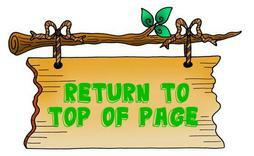 Now copy and paste your new link into the browser bar and press enter. You should now have your gift in your garden or in the pending area if your garden is full. If you can afford it, another way is to purchase the gift for yourself for 10 gold. Some Seasonal Gifts such as Poinsettia or Ice Flower can also be planted in pots of your own choice. Tthey are usually found under the Miscellaneous tab of the Seed Shop while they are in season.